You are here: Home » Act of God… which one? Yesterday I wondered about an Act of god. Which one sprang to mind. This post will reference the, in my view, genesis of that comment. It was made by Douglas Adams about Dirk Gently. We will have to rule out both God and Allah as they are meant to be benevolent ones. Well God did go through his angry phase with Noah and destroying Sodom and Gomorrah. He has, however, mellowed over the years since then. This will mean that we have to look at the older gods. Be that Greek, Roman or randomly pagan. 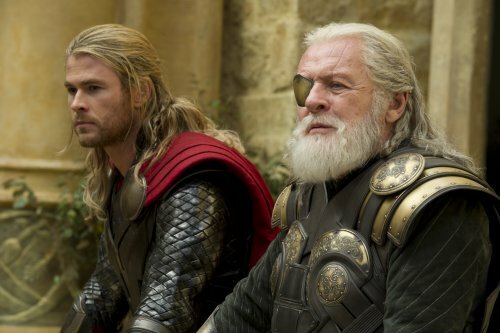 Thor and Odin do tend to have a temper as well as Poseidon. He tends just to play in the paddling pool and doesn’t get onto land that often to cause chaos – well, apart from the earthquakes. It will seem that Thor and Poseidon run as a tag team. One runs the storms and the other throws the lightning bolts at the Earth. The below table will explain what I mean better. All of the gods I have given a “special power”. Think of it as God Trumps.